I need to reapply after I’ve probably gone HOURS looking like I got hit by a truck and dragged through a ditch. I drink a lot of coffee, snack throughout the day and bite my lips – so lipstick is always disappearing shortly after I apply. When I was cruising through the store I saw the Maybelline Superstay 24 Color Lipstick and figured, what the heck let’s give it a go. 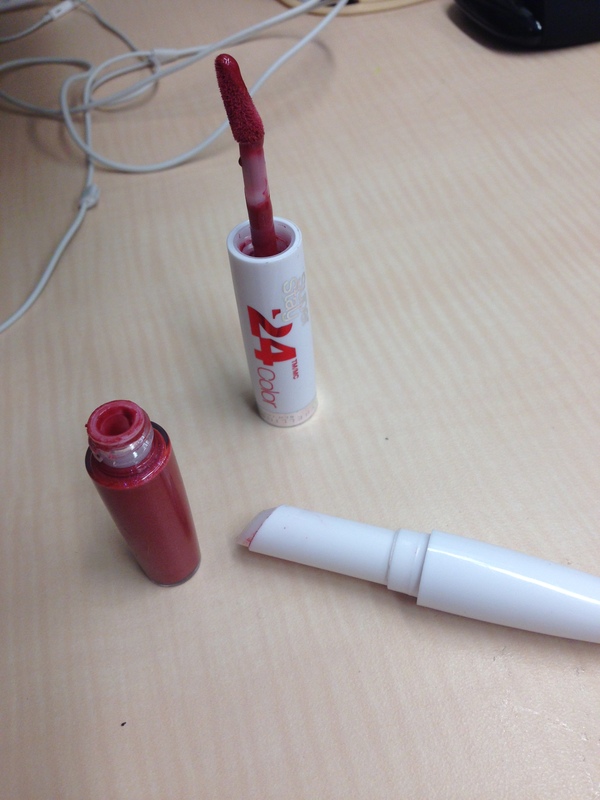 I don’t know if I’d call it so much a lipstick as a lip stains meets lip gloss, but maybe that’s just me. The color is nice and rich, and it is long lasting — but I wouldn’t go as far to say that it will last all day. By lunch it’s pretty much all off my face, so I’m confused by the claim you need a makeup remover to remove it. What’s I do like is that it’s not drying and the attached balm is moisturizing. So for a long lasting lip color that isn’t drying this is one of the best. The only annoying part is waiting for it to dry! 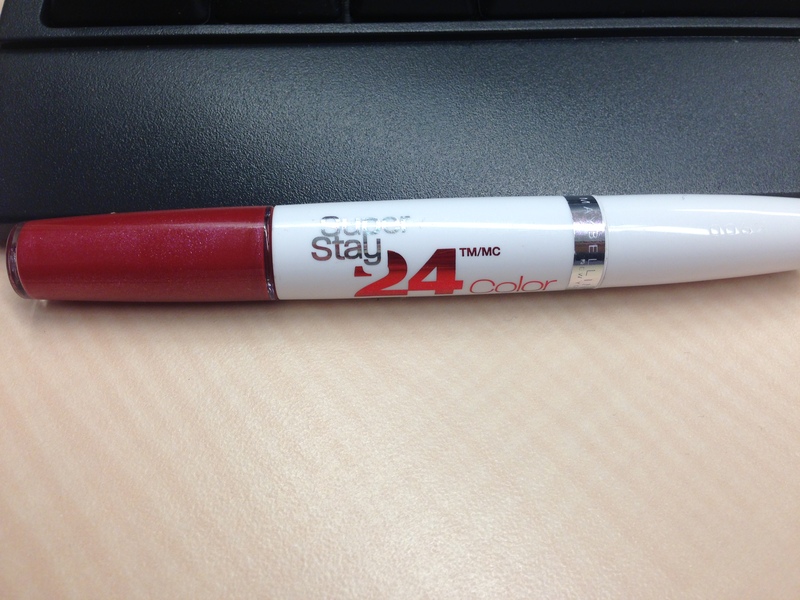 Although it doesn’t’ t necessarily live up to all of its claims the Superstay 24 Color is still probably one of the best long lasting lip colors on the market today. This entry was posted in Beauty and tagged Lip Color, lip stain, lips stick, long lasting lip color, Maybelline by maldham. Bookmark the permalink. En que lugar de la siudad de México encuentro el lip color stay color cherry esque me encanta.